I finally got my hands on some Kiko Milano products, and overindulged on their Long Lasting Stick Eyeshadows. I picked up six shades: 05 Rosy Brown, 06 Golden Brown, 07 Golden Beige, 21 Passion Fruit, 35 Pearly Calypso Rose, and 36 Golden Mauve. 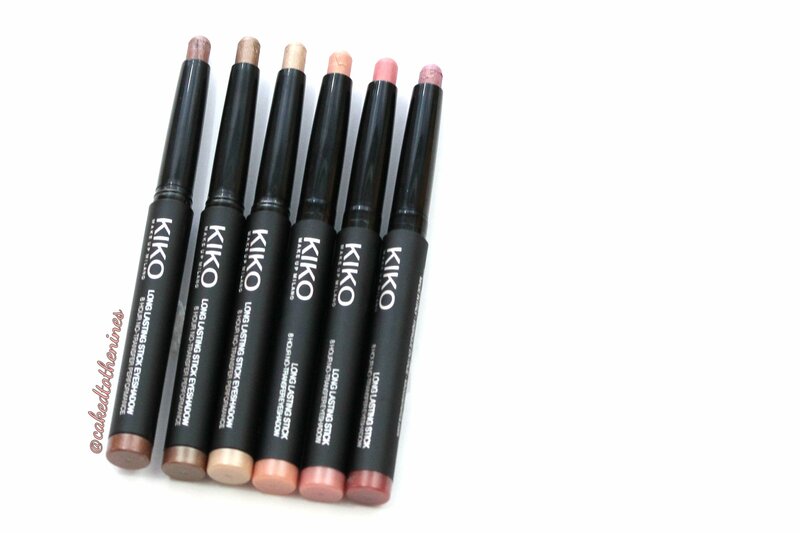 Keep reading for my Kiko Milano Long Lasting Stick Eyeshadow review. The Good | Inexpensive, good quality, pigmented, creamy, long lasting. The Bad | Dry really fast. 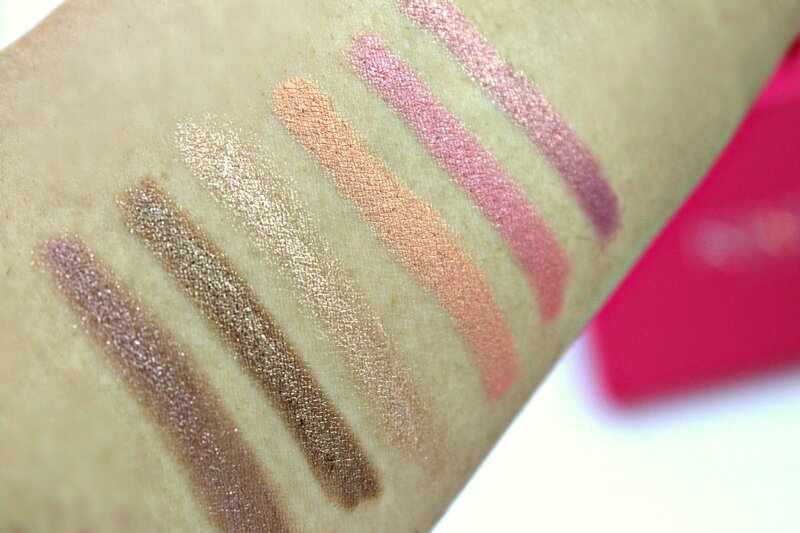 All of the eyeshadow sticks are very pigmented, creamy, and last a long time on the lids. I think these are great for everyday when you just want some color or sparkle on the lids, but don’t want to spend too much time putting on eyeshadow, and for a night out when you want to add sparkle. You simply apply them directly on to your lids and then blend out with your finger or a blending brush. These are great on their own or as an eyeshadow base. The only downside to these would be that they do dry really quickly so I like to apply these one eye at a time. Other than that one little downside, I’d say these are really great quality and well worth the money. All of the shades I own have shimmer or sparkle in them so if you’re not a big fan of shimmer or glitter then you won’t like these. However, if you’re like me and love sparkly eyeshadow then you will definitely be a fan. 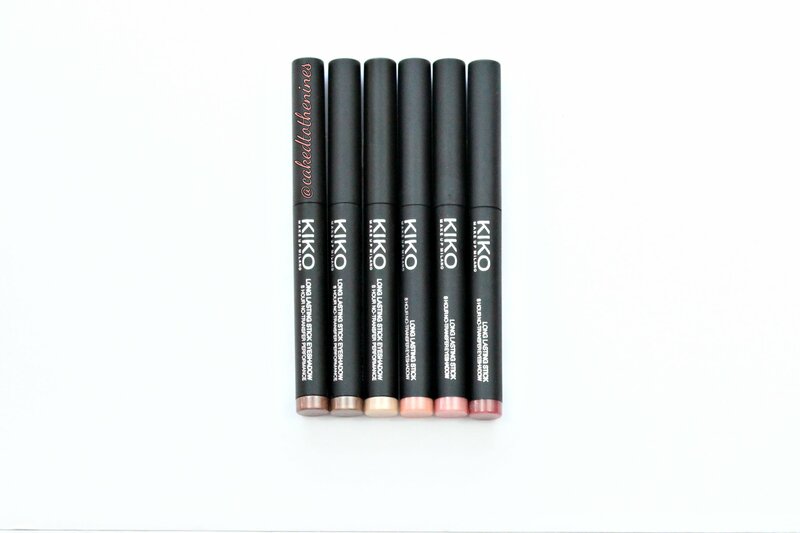 The Verdict | The Kiko Milano eyeshadow sticks are worth the money in my opinion. They have beautiful shades, they’re great quality, and they’re inexpensive compared to more popular eyeshadow sticks from By Terry and Laura Mercier. If you don’t want to shell out $30 or more on an eyeshadow stick, these are a great alternative. If you’re an eyeshadow stick junkie (like I’m beginning to become) then these are a must have because they have so many different beautiful shades. Have you tried any Kiko products? What are your favorites? Let me know in the comments below!